To celebrate my 56th birthday (and my first birthday as a vegan), Joy and I took my husband Steve to the Outer Banks for a weekend getaway. Gracious friends offered us their beach home, complete with a fully-furnished kitchen which came in handy for late-night snacks and quick meals. Of course, we didn't intend to spend all our time cooking -- what's the fun of a vacation if you don't eat out, right? 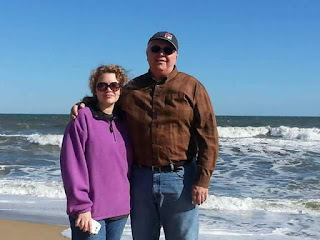 On our trip down we stopped at Hardee's, where Joy and I enjoyed a large order of fries (about the only vegan option there) as a dinnertime snack, until we could stop by a Harris Teeter to pick up a few groceries. Steve, who is not a vegan, ordered a chicken combo and after reading the nutritional information (750 calories, 42 fat grams, and 85 grams of cholesterol, JUST in the sandwich!) vowed never again to eat a Hardee's chicken sandwich. By comparison, the large order of fries Joy and I shared had 530 calories, 26 fat grams, and 0 grams cholesterol. 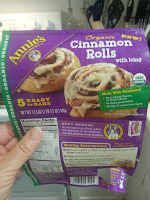 Since we shared, we each consumed half the calories and fat grams but enjoyed all of the flavor with none of the guilt. 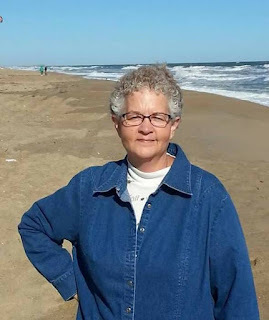 With a kitchen at our disposal and a grocery store nearby, Joy and I took advantage of the opportunity to purchase a few items that we had not yet tried and enjoy a late supper at the beach house. We picked up a couple of Amy's frozen entrees for our dinner the first night. 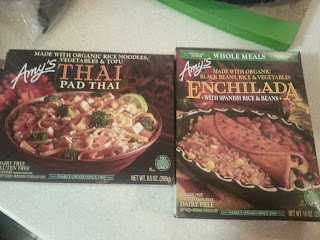 We were pleasantly surprised by the taste and quality of the Thai Pad Thai and Enchilada with Spanish Rice and Beans! We shared the entrees and found them delicious! 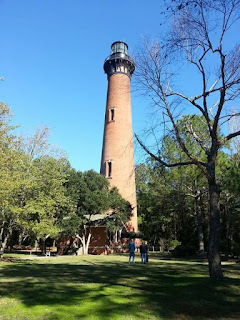 The next morning, before setting out on our day-long excursion to see lighthouses and ride the ferry to Ocracoke, we fired up the Keurig, popped a can of Annie's organic cinnamon rolls in the oven, and waited eagerly as the smell of cinnamon filled the air. 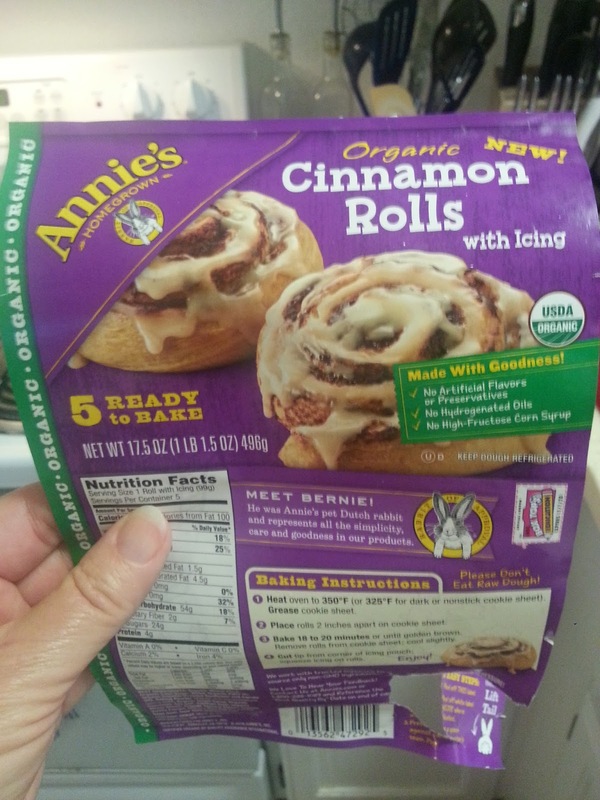 The cinnamon rolls were large and made a satisfying breakfast, served with a luscious cluster of crisp and juicy red seedless grapes. Along the way we snacked on pretzels, peanuts, and Cracker Jacks to curb our hunger until we arrived at Jason's Restaurant in Ocracoke, where we enjoyed an early dinner. Steve ordered a pizza with sausage and cheese, but Joy and I opted for a pizza with NO cheese and loaded with veggies. It was a great choice for us -- all of the enjoyment with none of the guilt! Our trip to Kill Devil Hills wouldn't have been complete without a trip to Stack 'Em High. Joy and I had so enjoyed our breakfast on our visit in 2015 that I had to take Steve there. 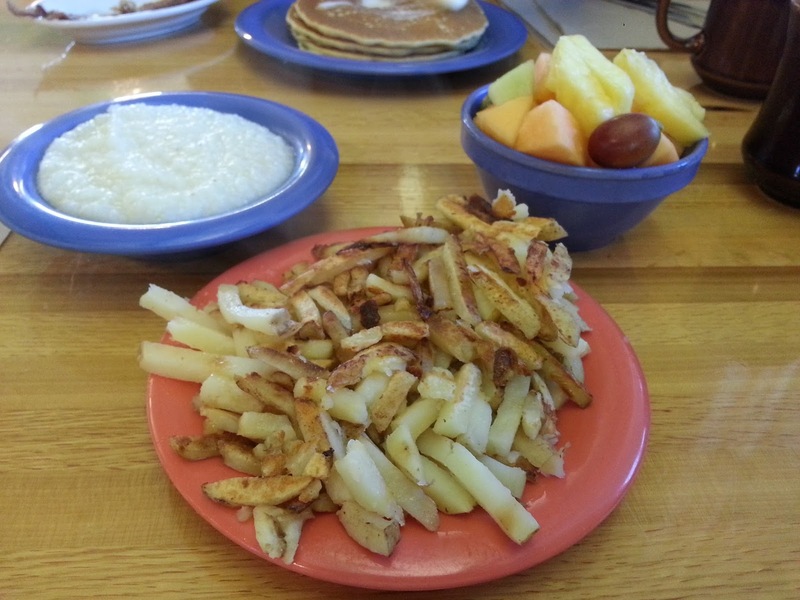 Instead of bacon and pancakes this trip, I opted for grits (no butter) and fresh fruit and shared an order of their famous hash browns with Steve. In 2015, before I went vegan, I confess I enjoyed their pancakes and bacon. Joy has found a recipe for vegan pancakes that are every bit as good, if not better, than the cakes at Stack 'Em High, so we eat them often at home. Yum! For the last meal of our mini-vacation we stopped at Subway, where Joy and I ordered foot-long veggie delight subs on Italian bread -- totally vegan and totally delicious! With toasted bread, NO cheese, and lots of veggies (lettuce, spinach, tomatoes, cucumbers, banana peppers, onions, olives, with a drizzle of sweet onion dressing) we left nourished and satisfied. We discovered that with a little planning and research (we Google restaurant menus) it is possible to eat vegan while traveling and enjoy it!